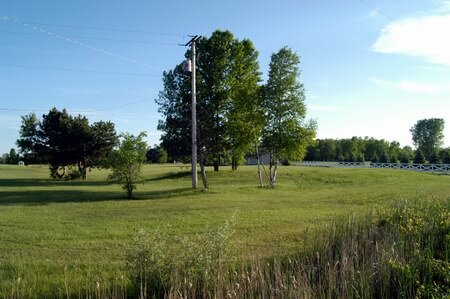 Exact address was 5913 N. Huron Rd. 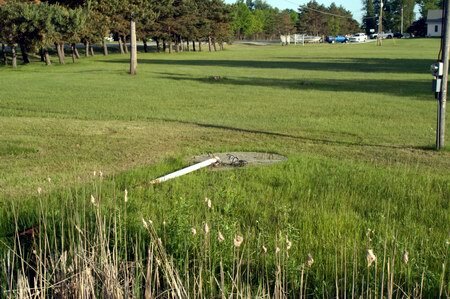 I believe that some of the equipment from this DI was recycled at the short-lived Northwoods DI in Houghton Lake. 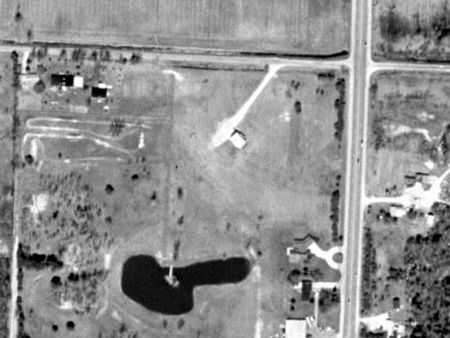 The Bay in Pinconning evidently suffered some storm damage in 1965, it must have been repaired if it lived on until the early 1970s. 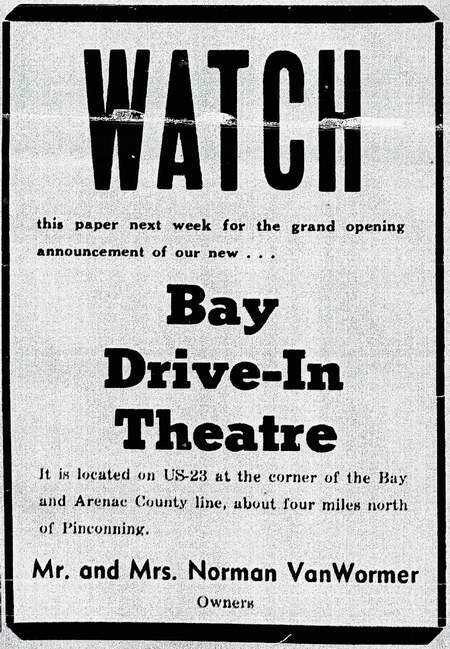 June 1959 - Opening of the new Bay Drive-In at Pinconning has been scheduled for July 1, Bill Sidenstecker of Allied Artists reports. This will be a 300 car operation, with bookings handled by Carl and Robert Buermele. 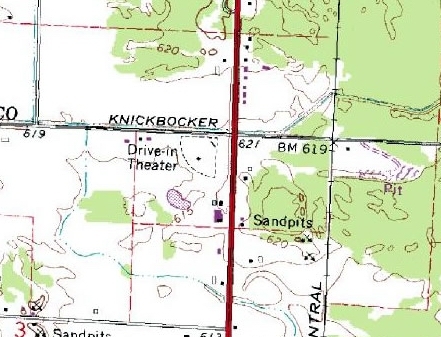 August 1959 - Norman Van Wormer has opened the newly completed Bay Drive-In at Pinconning, a 300-car operation. 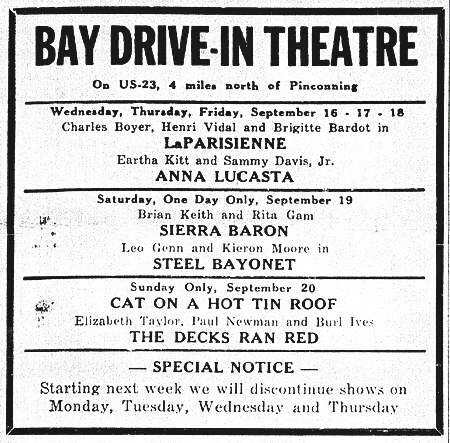 The Bay was closed sometime in the early 70s. 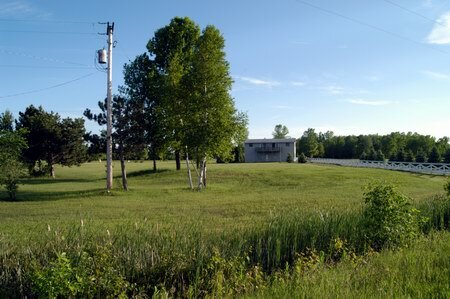 The lot is now occupied by a home and an apartment which was built on the foundation of the old projection booth.